Direct Marketing Association 2012 report included data that direct mail was still strong, volume remaining steady with a slight dip from 2011 to 2012. As business owners and marketers we have seen technology change the definition of direct marketing to include texting, emailing, and tweeting. Emailing is easily accepted as a new version of direct mail. But it is clear that email is not replacing direct mail. For the foreseeable future mail boxes will have a purpose. So let's get on to the real meat of this article -- the purpose of direct mail. Before creating your inbound marketing (direct marketing) plan it will be helpful to understand the purpose of a direct mail campaign. Direct mail, when written and designed well, motivates the recipient to buy your products or services. To achieve that result it is imperative to know the key driver or purpose of each mailing. These are some of the key drivers that feed the inbound marketing objective. Acquisition Marketing: Every business needs to feed their sales funnel with new customers. Even if you have their email, chances of having an impact are slight through email. Direct mail is a physical object delivered to a mail box. Most of us check our mail box every day. Standing Out In A Crowd: The volume of emails that hit every ones box every day is overwhelming. You have as little as 2 seconds to capture the recipients attention with subject line or visual. Direct mail vs. online marketing is physical. Direct mail offers more options to stand out through size, shape, and texture. Self-mailer format puts your message immediately in view providing the greatest opportunity for your target audience to read your message. I have had highest results when the paper stock has a unique feel such as ridge pattern or slick satin touch. Visual as well as tactile differences help your mailer stand out from the stack of mail in the box. Preferred Method of Contact: Many people prefer to be contacted by direct mail over email, as sited by a study conducted by Epsilon, The Formula for Success: Preference and Trust. In your effort to capture emails you should provide "opt in" opportunity. Entry forms, CTA's on your website should require contact information in exchange for what you are offering. You can include a place for them to "opt in" to newsletters, special offers, communication about new products. Up-Sell/Cross-Sell: Direct response works when you provide a call to action. Increase the impact with a time sensitive offer. Every exposure you have to your prospect must work to migrate your prospect through your sales process. 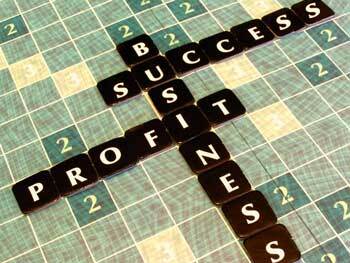 Cross-sell, up-sell to let them know the breadth of your offerings and your commitment to customer satisfaction. Connecting with your customer through direct mail efforts gets your message in their hands like no other tool. When it is a self-mailer your message is right in front of them - not hidden inside an envelope. Lifespan: Marketing is a matter of timing. The response rate is dependent on whether the recipient needs what you are offering when they are exposed to your message. Emails are quickly deleted, judgment made on the subject line or the sender. Direct mail designed with a relevant message and properly timed has a higher likelihood of staying out of the trashcan long enough to be acted upon. Acceptable response rates are 3%. When you understand direct response activators for the product or service these mail pieces can be held for a year or more when the your are selling a high ticket item such as replacement windows, decks and more. My clients have told me that the direct mail we have implemented impress their customers so much that they have held onto them for a year or more because they had plans to acquire the product but had to save for the investment. Email Marketing: It is common across a majority of industries that client email lists are small compared to the total count of a business' client list. Email offers an economic way to reach out to prospects and clients. Emails typically average a 35% response rate. And email is a great supplement to direct marketing efforts, but should not out right replace direct mail efforts. Collecting and increasing your email list should be an objective in all marketing efforts. Multi-channel Marketing: This is still a smart approach of any direct marketing plan. Combining direct mail with PPC, email, radio, etc in a unified approach results in a 3-times lift in response over just one marketing channel. The multiple channels create a deep saturation of your message. Choose the channels based on what best reaches your target audience. Design of the campaign, on-line to off-line cadence can impact your results. Start small and test to determine the combination and style of messaging that delivers the best results for you. Technology has impacted how we direct market but not why. The why will not change. Why? Because you need to be in front of your customer when they are ready to purchase.That is where technology has provided the greatest benefit. Technology has benefited marketers providing more channels to get in front of prospects and customers. It is easy to execute an email campaign. But simple isn't aways the most effective. Yo must know your customers and prospects, where you can connect with them online and off. Running successful marketing campaign for your clients and yourself is all about having the right tools in your marketing tool kit. 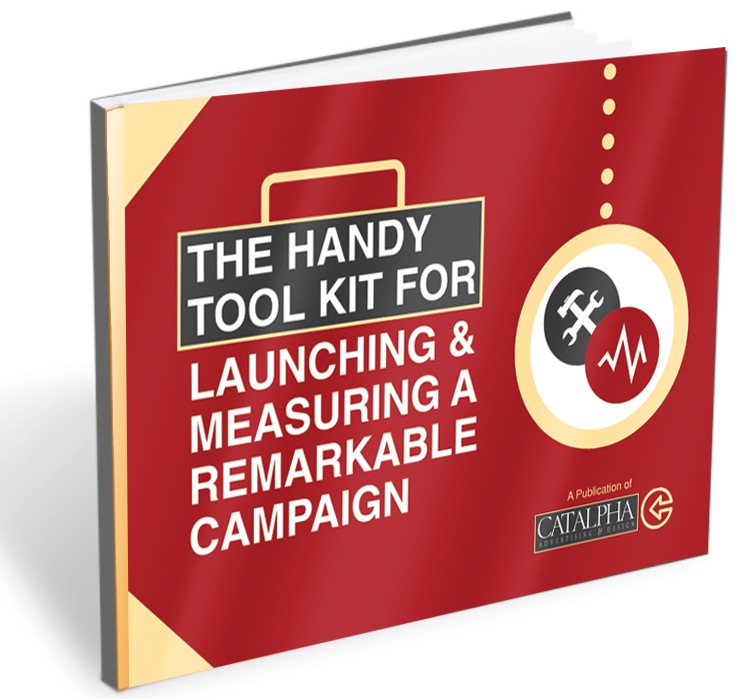 Our guide, Launching & Measuring a Remarkable Campaign, will dive into which marketing tools you should keep handy.